Search engine optimization (SEO) is the basic need of every e-commerce business or website. That’s why if you like to take advantage of the maximum benefits of SEO using the right keywords, link building practices, the use of CTA, and SEO content marketing, you need to find the right coaching program for you. In this post, you’ll learn some helpful tips to find the best SEO digital marketing coaching program for you. 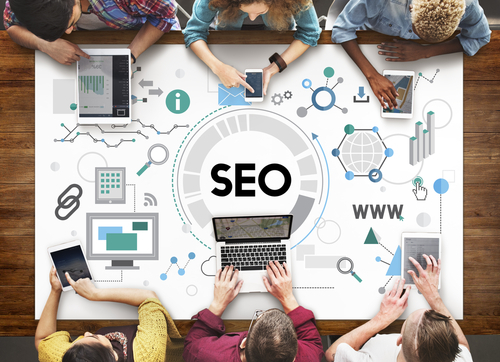 SEO is a complex topic, but it’s possible to be a master of search engine optimization by keeping yourself abreast with the latest information or updates about this vital digital marketing niche. 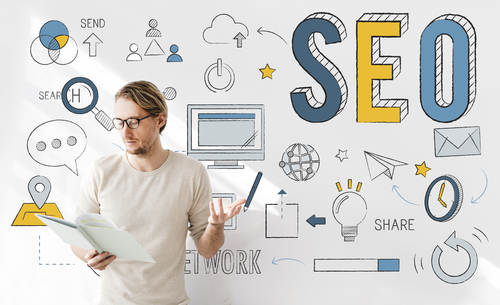 When looking for the best SEO digital marketing coaching program, it’s important to know your needs and preferences so you’ll come up with the right decision. Determine your SEO skills by taking an online SEO quiz or test, like one provided by Moz, Test4Geeks, and BrightEdge. Get a better idea of the best SEO coaching programs available online, such as webmarketing123. Talk to an SEO coach and express any doubts, concerns, and any queries about learning SEO. If you’re planning to put up a business, you definitely need a strong online presence with the help of SEO. It’s hard to grasp what SEO is if you don’t know the basics. So before you enroll in an SEO short course or training program, it pays off to self-study first. In that way, you can relate to your coach and your fellow trainees. Whether you’re a small business owner or managing a personal blog for your future affiliate marketing plans, getting training through online short courses will make you better and give you an edge over your competitors. SEMrush SEO Fundamentals Course: It’s an SEO course via SEMrush with Greg Gifford, who has 16 years of SEO experience and is the Director of Search and Social for DealerOn, which is a leading online marketing provider and website for car dealers. The course includes learning all SEO essentials in 4 hours and 31 video lessons. Udemy SEO Training Course: This is an SEO course created by Moz. More than 170,000 have enrolled in this SEO course with a 4.2 rating in Udemy. By taking this course, you’ll learn internal and external SEO aspects to increase site traffic from search engines. Guide To SEO by Search Engine Land: This guide contains nine chapters that include topics such as types of search engines, site architecture, trust and authority, personalization, link building, and HTML code and search engine factors. Note: Many SEO training and short courses include certifications that you can attach as part of your credentials when applying for SEO and digital marketing-related jobs. SEO influencers can be found on search engines like Google, social media platforms, and online communities or forums. You can find notable SEO experts on social media pages like Twitter and Facebook, or contact via dedicated websites like LinkedIn, for a once in a lifetime coaching session. These SEO experts also offer SEO coaching programs for willing aspirants. Cyrus Shepard: He is the founder of Zyppy, which is an SEO content, consultation, and software company. He has been in the SEO industry for nine years. Rand Fishkin: He is the former CEO and founder of Moz and the author of the famous Lost and Founder. He is now the CEO and co-founder of SparkToro with more than 15 years of SEO experience. Learning from one of the best SEO experts will be highly beneficial for you and your business. Martin MacDonald: He is the founder of MOG Media Incorporated, which is one of the best digital marketing consultancies today. Martin has over 20 years of SEO experience. There’s no doubt you’ll learn practical and effective SEO solutions by following Martin MacDonald. SEO can be fast-paced, innovative, and complex, but once you know the right people to follow and the right coaching program to take, you can increase your knowledge and skills in SEO, and become an expert one day. This way, you can make your website or e-commerce business stand out from the rest. Learn the basic concepts and principles of SEO, as well as the advanced SEO topics, to your greatest advantage.